12 hour comic made in October 2008 instead of a 24-hour comic, as I had a cold, and didn’t feel like staying up working all night. Detour is a short science fiction story made from two keywords. The words I got was “fish” and “black hole”. 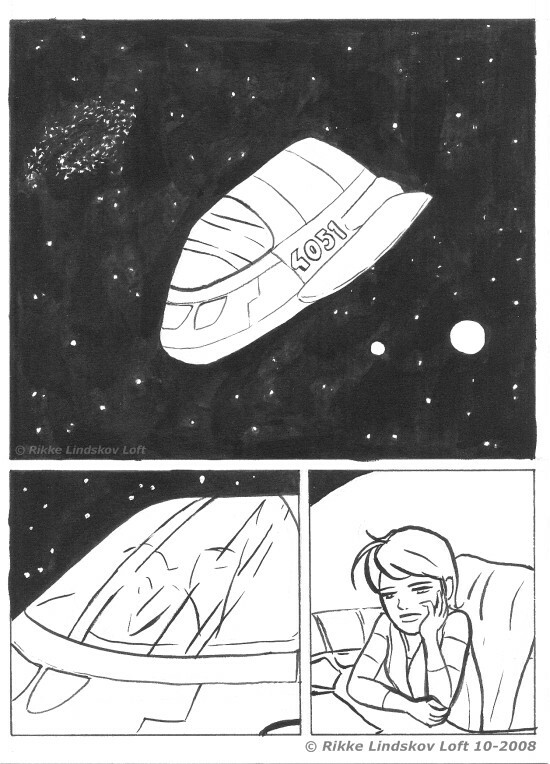 This comic was made using black ink and brushes for the lineart.